» My first publication as Editor is out! My first publication as Editor is out! In Spring 2013, I was offered by Networking Knowledge, MeCCSA‘s PGR Journal to direct/edit a special issue of their Journal, as guest-editor. 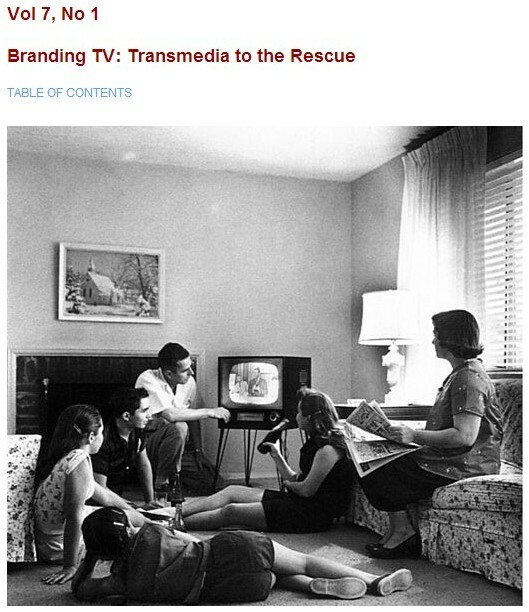 A year later, this Special Issue, entitled ‘Branding TV: Transmedia to the Rescue’ is finally! I am, therefore, very happy to present you my first publication, not as contributor this time, but as editor (I have also, however, written a introductory chapter). The entire issue is available for free, here. My thanks to all the brilliant contributors. I was also delighted and very proud to receive the compliments of world-renowned scholar Henry Jenkins (who actually came up with the term of Transmedia Storytelling and was the first one to really study the practice), who was also kind enough to promote the issue I had directed to his numerous followers on twitters. Derhy.TV © Copyright 2013-2015 - All Rights Reserved, Benjamin Derhy Kurtz --	Theme by Towfiq I.